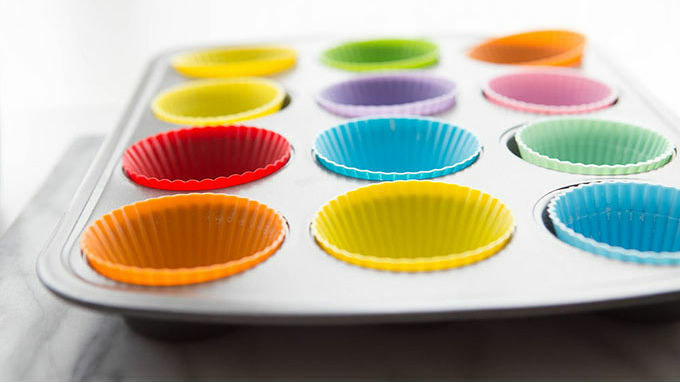 Line a 12-cup muffin tin with cupcake liners. Set aside. In a microwave-safe bowl, microwave chocolate chips in 30-second bursts, stirring between, until smooth. 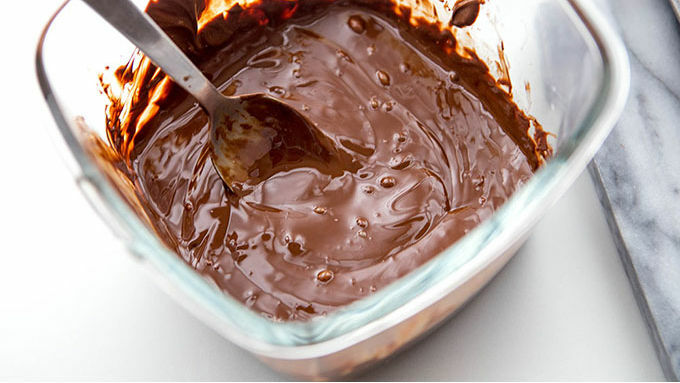 Drizzle 2-3 teaspoons of chocolate into the bottom of each cup, just enough to cover the bottom with chocolate. In a medium-sized bowl, mix together almond butter, honey and vanilla. Drop 1 heaping tablespoon into the center of each chocolate-filled cup. 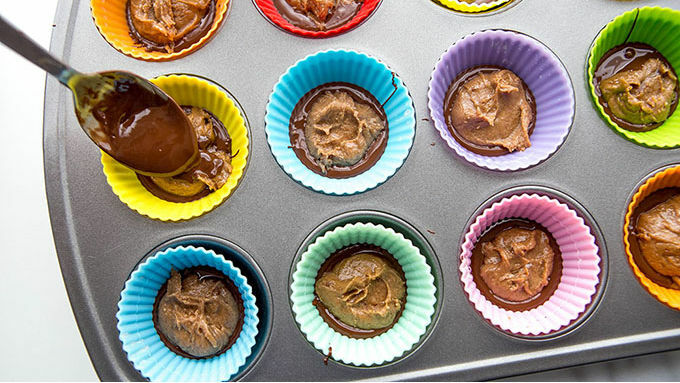 Rap muffin tin against table several times to even out the almond butter filling. Cover with chocolate, sprinkle with sea salt. Allow chocolate to harden before serving. Refrigerate for 10-20 minutes to speed up the hardening process, if desired. For strict paleo eaters, use grain-sweetened or stevia-sweetened chocolate chips. Or substitute stevia-sweetened carob chips, if desired. Gluten-free, sweetened with raw honey and only 4 ingredients, this simple recipe is about to change the way you feel about healthy treats! I think there’s this misconception that making healthy foods means using a bunch of weird old ingredients, mixing them together in unfamiliar and absurd ways, mixing and molding it all together to create a finished product that tastes like fake figs rolled in buckwheat. Not so appetizing, eh? No wonder we sneak candy bars into our grocery carts while standing in line at the store. Naughty food is just so.much.yummier. Except. It’s totally not! Forget everything you ever thought about gluey gluten-free eats and chalky sugar substitutes. Good for you desserting should taste good. And it can be wondrously easy. And so good. Have I mentioned…good? And delicious. 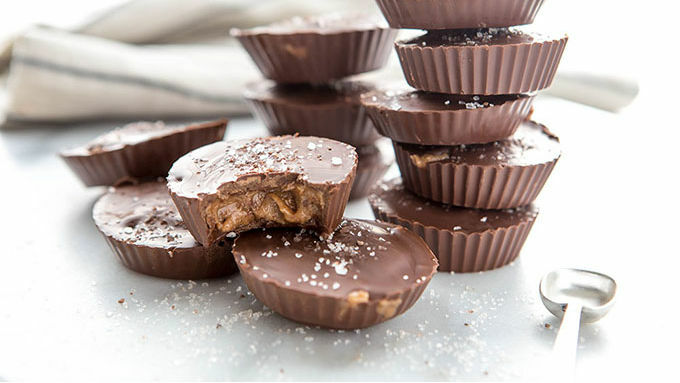 Take, for instance, these Paleo Reeses Cups inspired by Simple Green Moms. Exactly 4 ingredients. Exactly 10 minutes of prep. Exactly yummyscrumptious. Toss those prepackaged candy bars. Whip up a batch of these wonderful treats, instead. Gluten-free, sweetened with raw honey and even tastier than the originals, this simple recipe is about to change the way you feel about healthy treats. For strict paleo eaters, use grain-sweetened or stevia-sweetened chocolate chips. Or substitute stevia-sweetened carob chips, if desired. 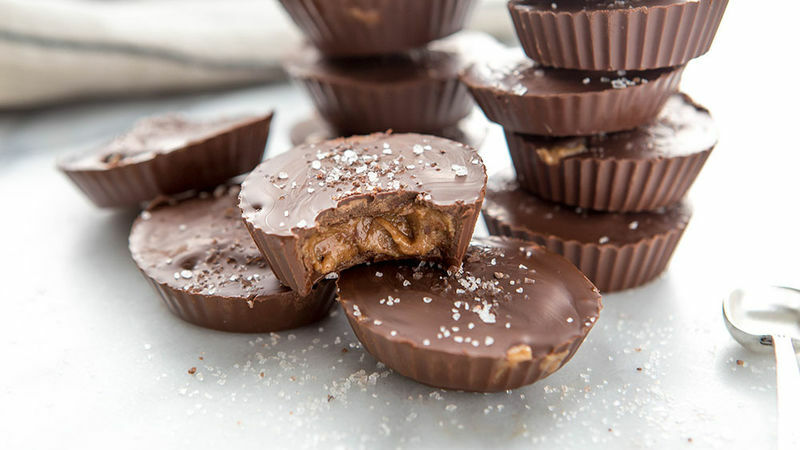 A standard size 12-cup muffin tin makes perfect little “Reeses” cups. But you can also use a mini muffin tin, too. Being a caveeater has never tasted so good. Enjoy!